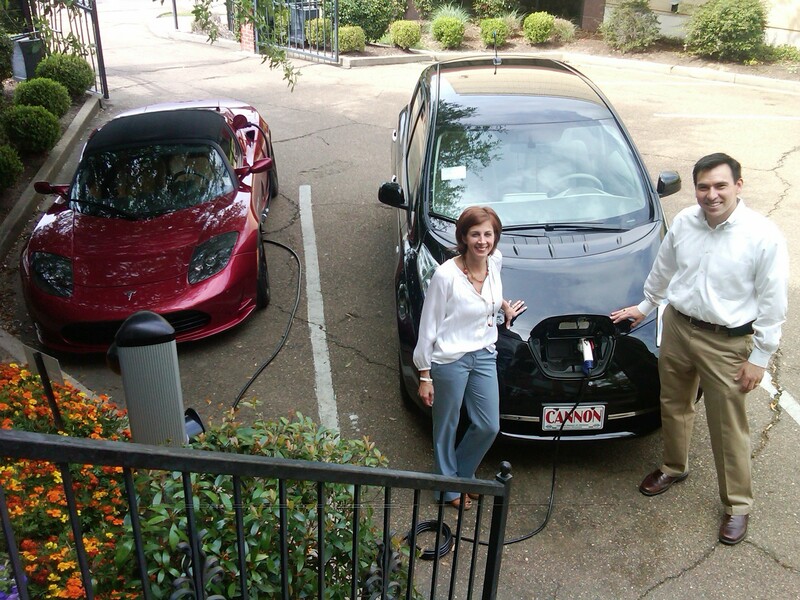 Did you purchase an electric vehicle charging Station in 2012-13, if so, we have some great news. 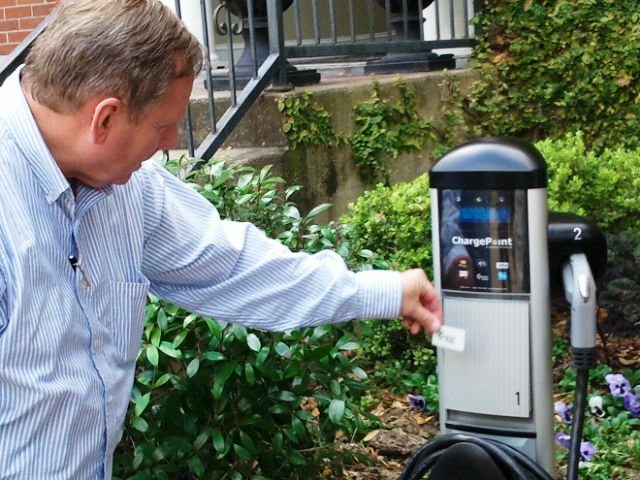 The recent fiscal cliff deal that Congress passed included a broad set of tax extenders for all electric vehicle charging stations and installations. The Section 30C credit* for Alternative Fuel Vehicle Refueling Property includes a credit of up to $1,000 for the purchase and installation of a charging station for personal use. Additionally, Section 30C includes a 30 percent credit, capped at $30,000 for business/investment use per site. So spread the word and pass on the savings. A look at MS solar potential and what peak sun hours mean. Yes it does, based on a study of “Peak sun hours” compiled by the National Renewable Energy Laboratory (NREL) using 40 years of National Weather Service (NWS) data. This study is the basis for comparing and projecting solar energy potential for various locations both nationally and internationally. A “peak sun hour” is a constant, thus its value and how NWS measures it is the same in Jackson and Meridian as it is in the other 49 states as well as internationally. 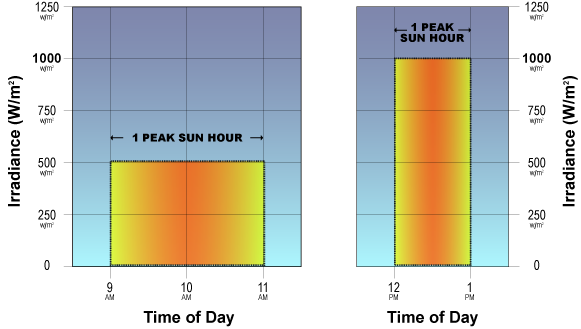 A “peak sun hour” equals 1,000 watts (1 kilowatt) of solar power hitting a 1 square meter surface for 1 hour (peak sun hour = 1000 watts/ square meter). It is a constant used to compare solar potential around the world in a standardized way (apples to apples). A “peak sun hour” in Mississippi is the same as Pennsylvania. Just as an electrician considers 1 HP = 746 watts, or a surveyor 1 acre = 43,560 square feet, a solar designer projects solar production on the equivalent “peak sun hours”. In Mississippi, NREL determined that the amount of usable solar energy available during the total daylight hours on a daily basis was equivalent to 5.1 “peak sun hours.” This average takes in consideration differences between daylight hours in summer & winter, humidity (air mass density), cloudy days etc. This translates into 5.1 kWh per day average solar potential per square meter of solar installed. A properly designed system with today’s technology will perform at between 70-80% of this potential after system de-rates or between 3.6 & 4.1 kWh production per sq. meter per day. 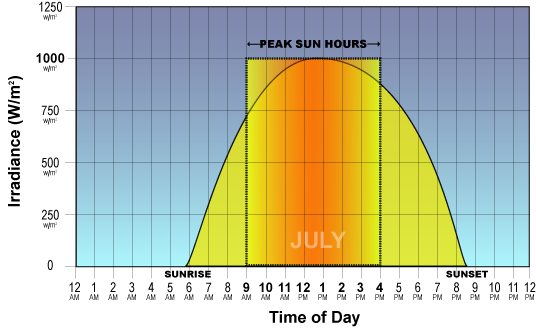 The point is that all computations originate from a constant, “peak sun hours”. Unless Mississippi has adopted a modified perhaps “baker’s dozen peak sun hour”, it is abundantly clear that Mississippi has more solar potential than the majority of states. Mississippi ranks last in solar production compared to our sister states, yet has one of the highest potentials. 4.8 kW system was commissioned by Dixie Electric Power Association which is a member of the South Mississippi Electric Power Association (SMEPA). Nate Bender: "Shrinking our carbon foot print while extending the life of our roof!" We have some exciting news for you guys! There's a great financing opportunity for your renewable energy projects! Steps to maximize your renewable energy investment. 1. Schedule a solar site survey to determine energy production potential for your home. 2. Agree on system size, components and price for your future system. 3. Complete installation agreement (subject to loan approval) and make refundable down-payment ($1,000). 4. Contact lender and complete online application (pre-qualification in a few minutes). For more detailed information contact Will Hegman here.